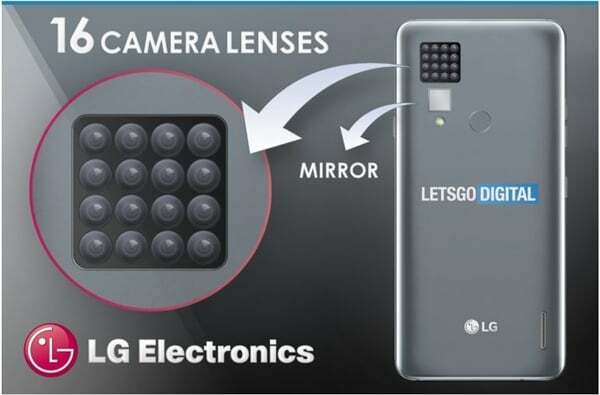 According to foreign media LetsgoDogital, LG has recently patented 16 cameras, or it will be applied to mobile phones or cameras, which may be the largest number of mobile phone lenses. In fact, a few years ago, LG was one of the earliest mobile phone manufacturers to launch dual-camera smartphones, but it did not achieve great success at that time. In recent years, with the popularity of dual-camera and the development of smart phones, mobile phones The lens is also increasing. According to LG’s patent, these 16 lenses will be arranged in a matrix and placed according to a certain curvature, so that different lenses can take photos from different perspectives, and then you can choose the best photos from them, or you can choose a specific lens. In addition, it is also possible to synthesize moving photos of photos taken simultaneously by different lenses, and also to replace photos taken by other lenses by cutting. It is even possible to combine different parts of different photos. It seems that mobile phone cameras may add more gameplay, but the quality of mobile phone photos that many people pay attention to is not mentioned. This also gives us more expectations for the release of multi-lens.